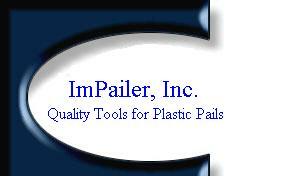 ImPailer, Inc. provides quality tools for plastic pails. Our tools make it safe and easy to cut, open, and close plastic pails. The tools are made of high-strength aluminum for optimal durability and effectiveness in use on plastic pails. Our larger tool, the ImPailer Pro, is an all-in-one tool that cuts, opens and closes plastic pails. No more fighting with knives and screwdrivers to open plastic pails. Our ImPailer Pro makes it safe and easy for you to deal with plastic pails. We also offer the ImPailer EZ, a smaller version of our pail tool, that will open and close plastic pails. This makes it easy to open those pails that don't require cutting but are still difficult to open and close. ImPailer, Inc. takes pride in the quality of our tools and offers a warranty on our tools under normal usage conditions. Note: the Lid Cutters and The ImPailer pages require the Flash Player by Macromedia. If Flash is not installed on your computer, we recommend that you download the player from Macromedia at this time. It's free and it will take about one minute for install.